New homeowners may wonder about pest control in their new homes. 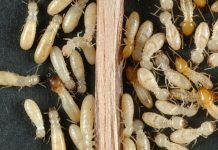 In most areas, a termite inspection is recommended or required before the purchase of the home. However, other pests such as insects and rodents can also be found in residential buildings. Inspections for other pests are not always routine. 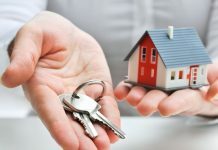 So what should new homeowners know about pest removal and control to eliminate or prevent an infestation? Although ants can carry infectious bacteria into your home, ant infestation is more often an annoyance than a health hazard. For pest control against ants, start by sealing any cracks or holes through which the insects are entering your home. Keep the areas in which you spot ants free of food, even small crumbs that the ants carry back to their nests. For more difficult infestations, borax mixed with sugar is a safe alternative to chemical insecticides. Pour a small amount of the borax-sugar mix anywhere you see the ants. The ants will then carry the mixture back to their nest. Borax is safe for people and pets but deadly to ants. Bees, wasps, and other stinging insects can cause serious health problems for people and pets, especially individuals who are allergic to the insects. Some stinging insects such as wasps and yellow jackets will attack repeating, which can be fatal even for individuals without an allergy to the venom. Before purchasing the property, have the attic checked for nests and hives. When you first move into your home, inspect the house and lawn for bee hives and wasp nests. If you find evidence of bees, wasps, or other stinging insects in or around your home, contact the pest removal firm IcePest to remove the insects from your property. In addition to being a nuisance, rodents such as mice and rats can pose as serious risks to your health. Rodents spread diseases such as the Hantavirus, the Bubonic Plague, Salmonellosis, and rat-bite fever. The illnesses are spread through the faeces from the mice or rats as well as through the fleas that travel with the rodents. If you spot a mouse or rat in your home, first check your property for holes through which the animal entered your home. Mice and rats can squeak through incredibly tiny spaces, so seal up even the smallest holes and cracks. Set out traps to help catch and kill any remaining rodents in your home. Be careful with poisons, especially if you have children or other animals in your home. For larger infestations, call a pest specialist who can assess the situation and recommend the most effective course of action. Moving into a new home is a joyous occasion for a new homeowner. 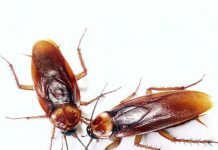 The discovery of a pest infestation of insects or rodents can put a damper on the celebrations. Fortunately, dealing with the most common pest problems is fairly simple. Once the initial problem is taken care of, prevention is the key to maintaining a pest-free home. Painting Vs Wallpaper – Which is a Better Option?